To protect and to rock…a restored KZP from Sculpt Moto! 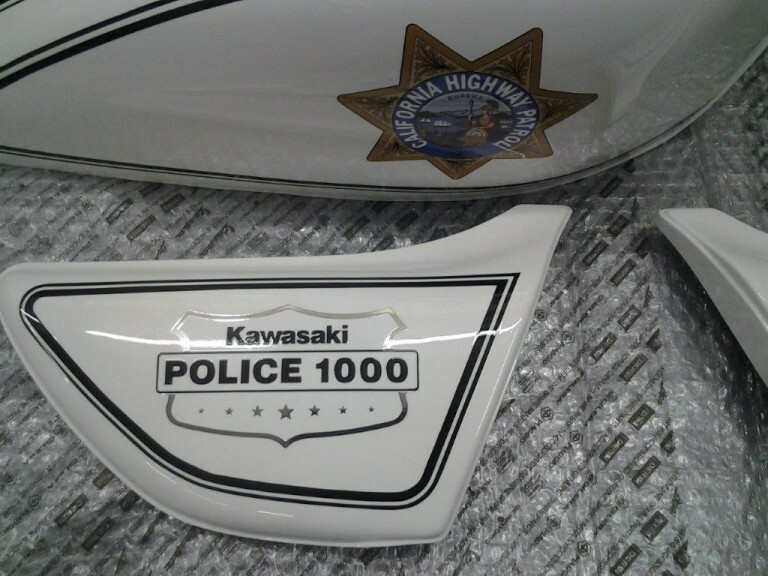 The Kawasaki KZ1000P was the police version of the 90-hp Kawasaki KZ1000. 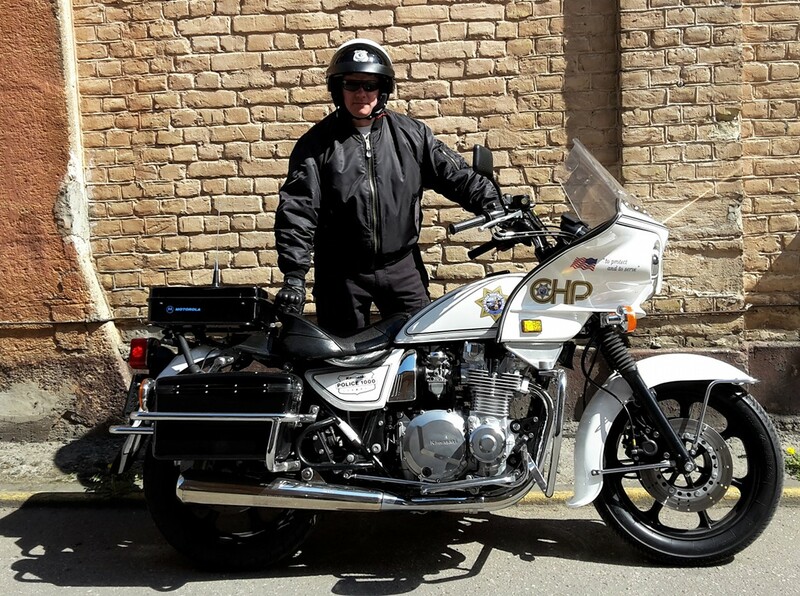 Otherwise known as the KZP, the bike would become a legend in its own time, starring as the iconic police bike in CHiPs and remaining in production for nearly 25 years, from 1981 to 2005 — a testament to the efficacy of this air-cooled brute. 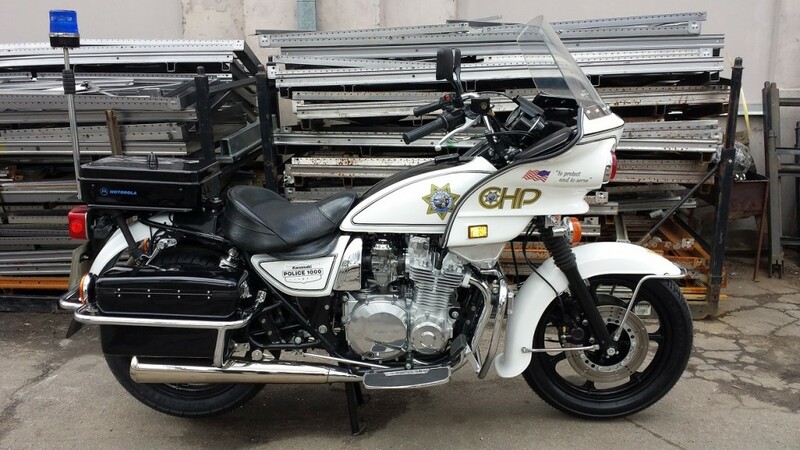 Enter Sergey Smirnov of Latvia’s Sculpt Moto Design, who always wanted a KZ1000 Police done up in California Highway Patrol livery, as ridden by Jon and Ponch from the TV series CHiPs. 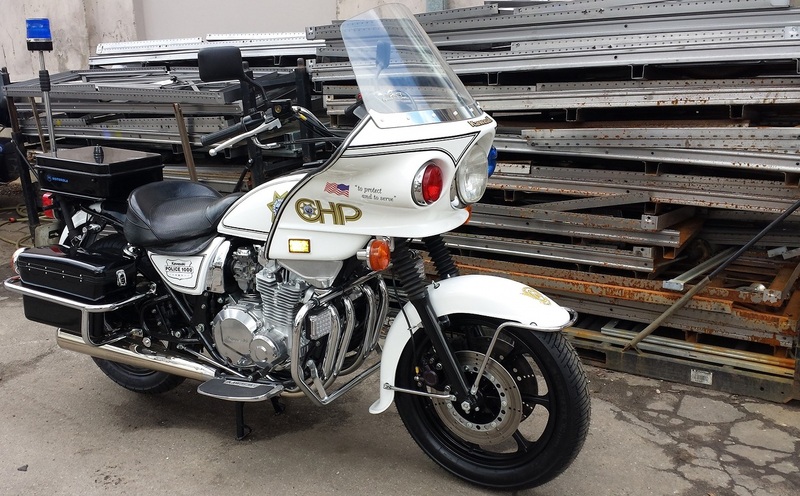 These bikes are rare in Europe, where BMW has long held the monopoly on police specials. However, Sergey finally found an example in the Netherlands. The bike was in moderate condition with about 70,000 miles on the clock. 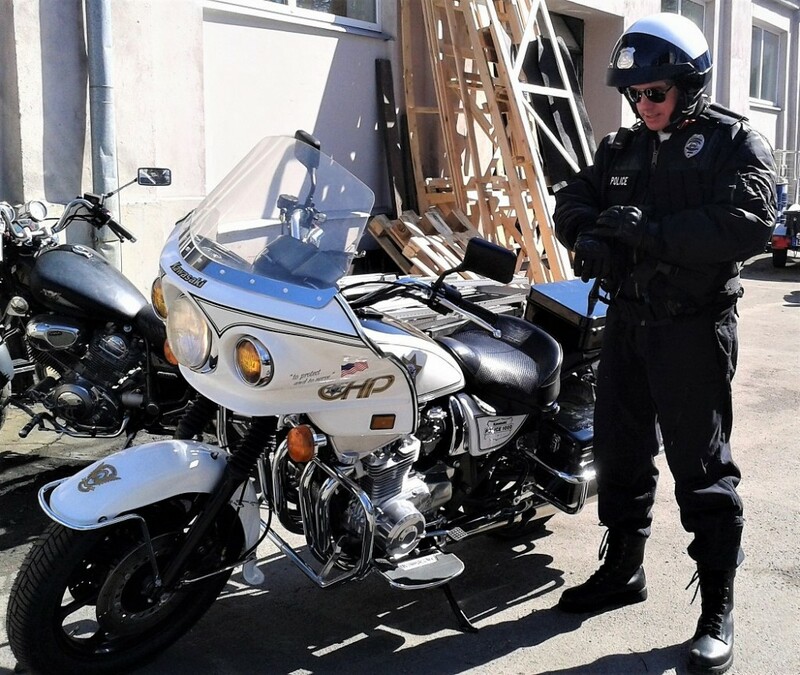 According to the owner, the bike had been purchased from a US cinema studio after being used in the film Sin City and had been listed for sale as a Kawasaki Z1000 Police Bruce Willis Edition. 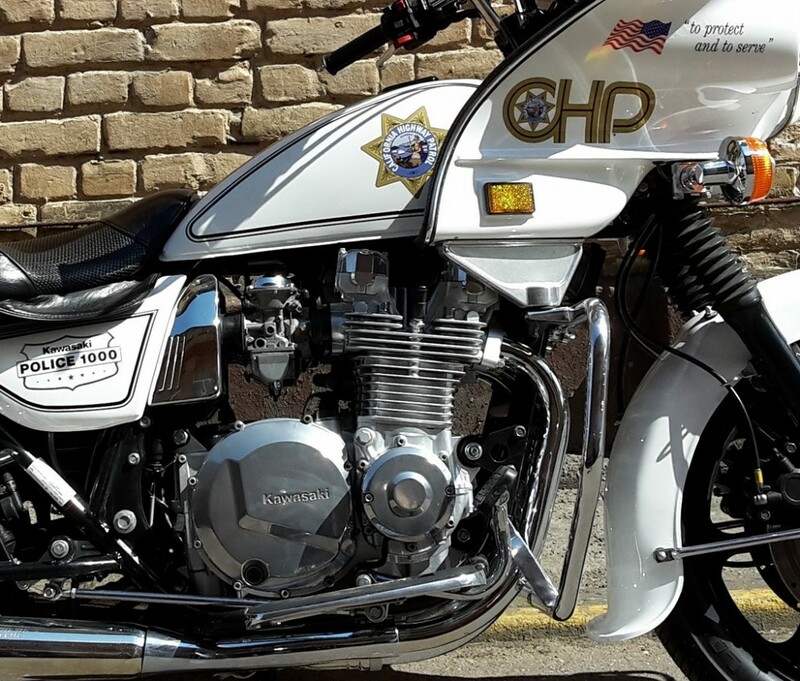 The team did just that, transforming the rusty and neglected police special into the beautifully restored KZP you see here. Below, we get the full story on the build. Sculpt Moto Design works with different motorcycle models. We propose complete projects for restoration, modernization and rebuilding of the motorcycles models starting from the 80’s. This is my private bike. I really liked this model. I have been searching for this motorcycle for several years. This bike was really hard to find in Europe. But finally a motorcycle was found at private seller in Netherlands. I had an ambitious plan restore this bike to the factory condition with original look, but with some modification. The frame and all metal parts were sand blasted, then painted in black semi-gloss color. New parts were bought for the suspension. Engine was glass blasted, cleaned, painted and some parts was replaced with new ones. Carburetor was ultrasonically cleaned and regulated. All chrome parts were newly chrome-plated. We made the detailed restoration of the plastic parts. All cracks and chips from plastic parts have been removed. Fairing and tank restored from dents and chips. Motorcycle was in moderate condition, dropped on the left side, and had a lot of rust on the chrome parts. 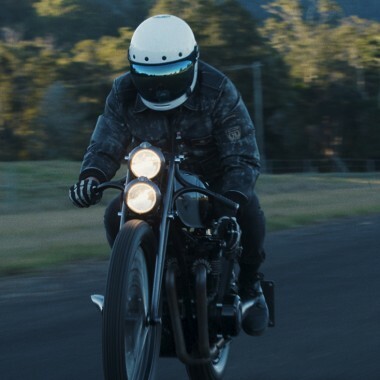 I’m proud that we rebirthed the bike and gave new life to a legendary motorcycle. Very high quality painted motorcycle in the original colors and CHiPs decor. 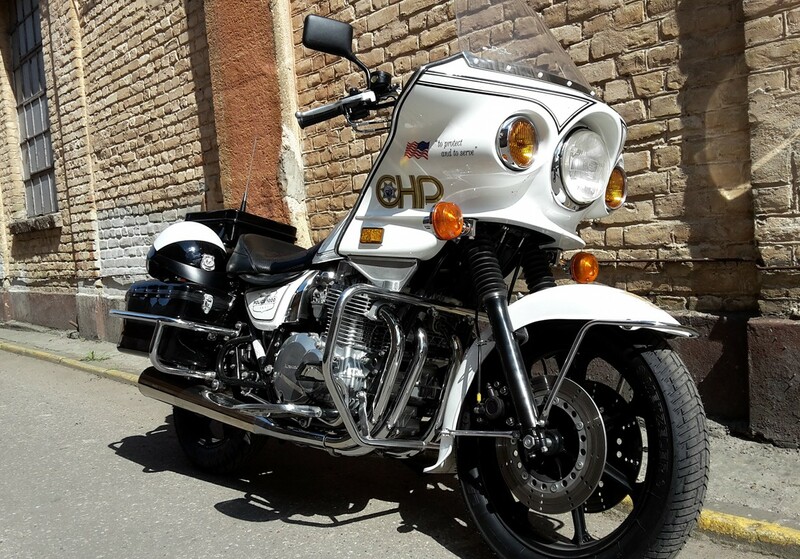 This bike is immediately recognizable on the road. Haha! Beautiful. I had one of these in unrestored condition and now the owner offered it back. Thanks for the motivation! Isn’t this what the T1000 stole in Terminator 2?